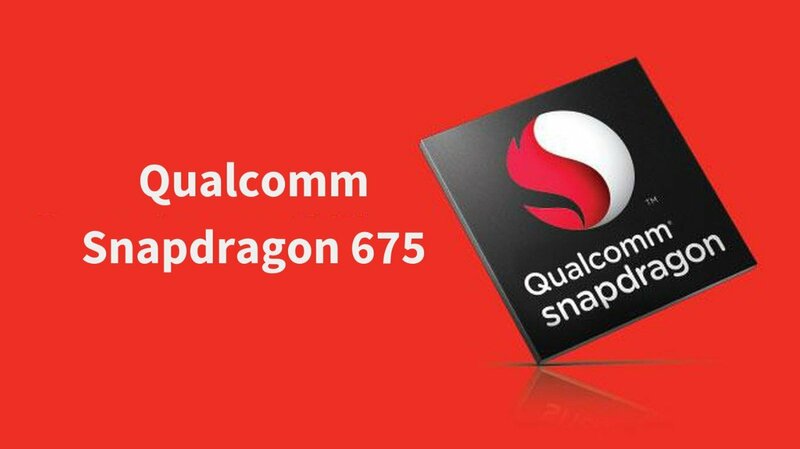 On, 9th May 2017, Qualcomm announced the Qualcomm Snapdragon 660 Mobile Platform with improved power efficiency and performance. The Snapdragon 660 belongs to the mid-ranged Snapdragon 600 series and is currently the most powerful member of the same. It is built on the same idea as the other members of Qualcomm 65X lineup (650, 652 & 653) and that is to provide flagship performance in mid-ranged devices. 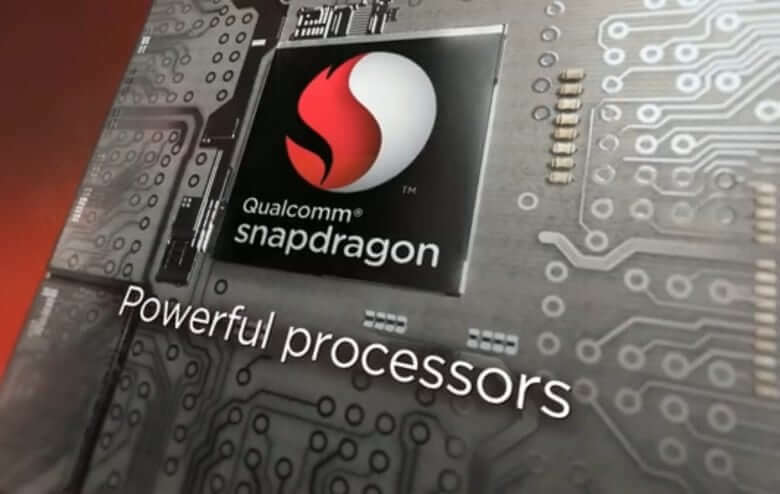 The ARM Cortex-A72 cores were the reason behind the extreme performance of Snapdragon 650, 652 & 653. For the first time, Qualcomm has introduced its custom Kryo cores in their mid-ranged SOC. Snapdragon is powered by eight custom Kryo 260 cores which are redesigned from the ARM’s Cortex A73 cores. The Qualcomm Snapdragon 65X lineup was built upon the 28nm Manufacturing Process while the Qualcomm Snapdragon 660 is built on the power-efficient 14nm FinFET Process. Apart from the changes in core configuration and fabrication process, the Snapdragon 660 runs on a better GPU, has a better modem and supports the faster Dual-channel LPDDR4 RAM. It is indeed the most powerful CPU so far in the Snapdragon 600 lineup. 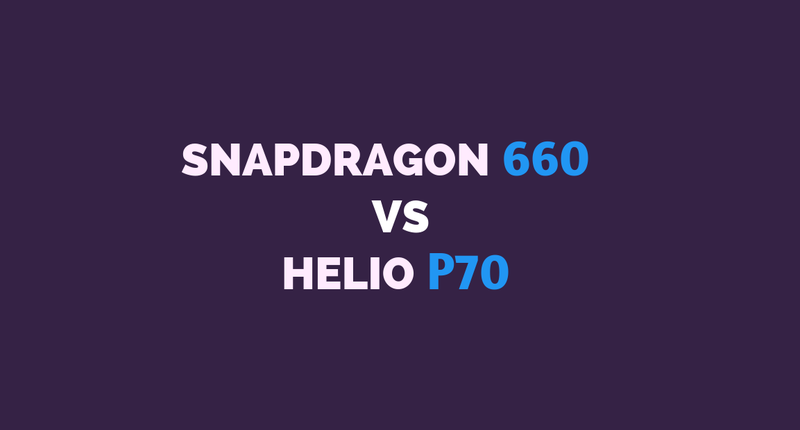 Let’s first move into the Specifications of Snapdragon 660 and later we will compare it with Snapdragon 650, 652 and 653. We’ll also benchmark and review this System-on-chip. Snapdragon 660 is an Octa-Core 64-bit SOC by Qualcomm. It has 4 high powered Kryo 260 cores clocked at 2.2GHz while the other 4 Kryo 260 are for power efficiency and are clocked at 1.8GHz. The high-performance cores are activated while performing intensive tasks such as gaming. In normal use, the low powered cores will run to improve the battery efficiency. The 14nm FinFET fabrication process further provides great battery life and eliminates all the heating issues of previous generation processors. Coming to the Graphics processor, it has the new Adreno 512 GPU which further improves the gaming performance from the previous Adreno 510 GPU. The GPU has a separate display and video processing units. It has the Qualcomm X12 LTE Modem which provides almost twice as better speed compared to the X8 and X9 LTE modems by Qualcomm. It supports Dual-Channel LPDDR4 RAM. The Snapdragon 660 also supports the new Qualcomm Quickcharge 4.0 technology. Apart from Snapdragon 660, the only CPU that supports Quickcharge 4.0 is the Snapdragon 835 Processor. Here are the Antutu and GeekBench 4 Benchmark scores of Snapdragon 660 smartphones. 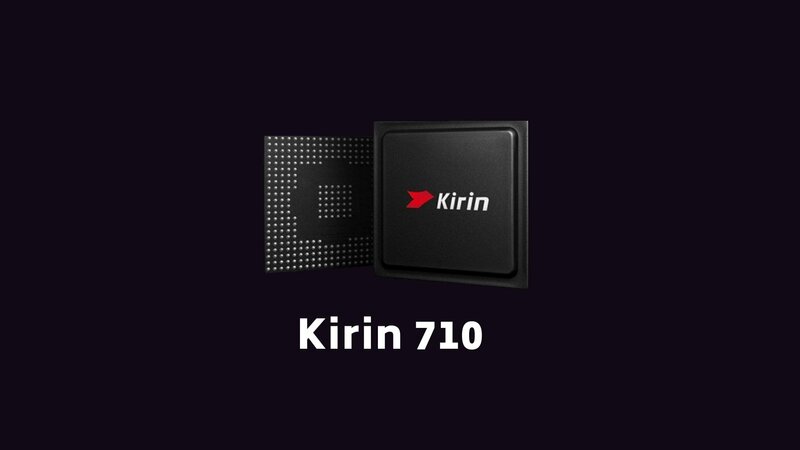 The performance of this SOC can be easily be compared with many other Flagship Processors. Its Antutu score is 121,056 which is too good for a Processor belonging to Snapdragon 600 tier. I will give credits to the powerful Kryo 260 Cores for this high benchmark score. The Dual-Channel LPDDR4 RAM and Adreno 512 GPU add even more power to this SOC. The GeekBench 4 Scores for this CPU are impressive as well. This is too good for a mid-ranged Processor. In Snapdragon 650, 652 & 653, Qualcomm uses Cortex-A72 cores for high performance while they use the weaker Cortex A-53 cores to save power. In the case of Snapdragon 660, two different sets of Kyo 260 cores clocked at different frequencies is used. This not only improves the performance while performing intensive tasks, but the daily life performance will increase. Snapdragon 653 was 20% more powerful than the Snapdragon 652 while the Snapdragon 660 takes it to a whole new level. Snapdragon 660 is currently the fastest and most powerful processor of Snapdragon 600 series. The only processors that are currently faster than Snapdragon 660 are Snapdragon 820, 821 and 835. You can also check out the Benchmark Comparison of Snapdragon 835 and 821 SOC. 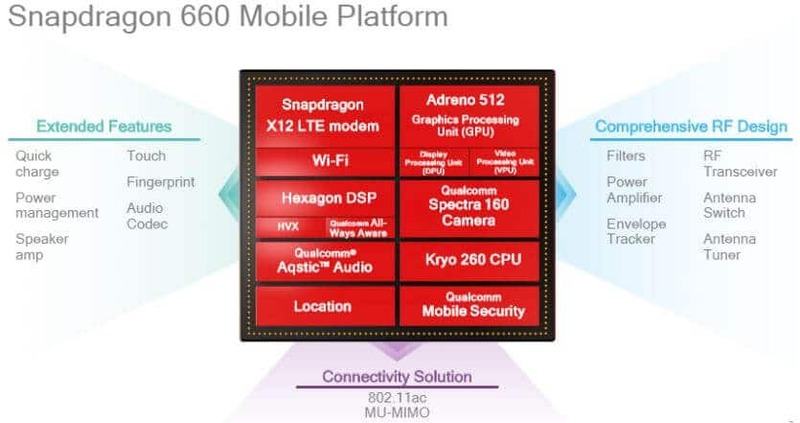 Snapdragon 660 uses the Adreno 512 GPU built on the 14nm process. This not only improves the gaming and rendering performance but also prevents throttling and heating issues. Adreno 510 is present in all the other three processors. According to Qualcomm, Adreno 512 is 30% faster than the Adreno 510. So, you can definitely expect better gaming performance in the Snapdragon 660 phones. Alongside the boost in performance, power efficiency has improved a lot due to the Kryo 260 cores and 14nm FinFET technology. Though we didn’t see the 10nm process just like in Snapdragon 835, but that will be too much to expect in mid-ranged series. According to Qualcomm, Snapdragon 660 is 50% more efficient than the previous generation. So, you can expect far better battery performance compared to the Snapdragon 650, 652 and 653. Snapdragon 660 is more like a combination of Snapdragon 625 and 653 with the flagship features of the Snapdragon 800 series. 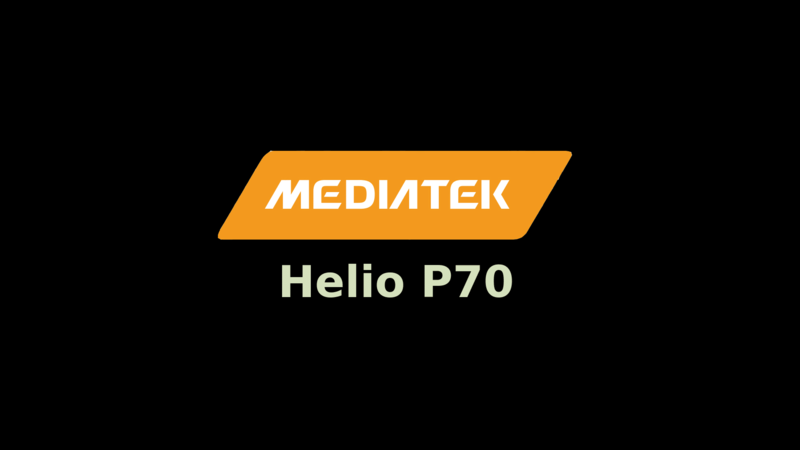 It incorporates flagship specs like Kryo cores, Quickcharge 4.0, LPDDR4 RAM, Hexagon 680 DSP, Hexagon Vector eXtensions, X12 LTE Modem, and Bluetooth 5. With an extremely powerful processor which is power efficient and priced low, you get a powerful flagship phone at a much lower price. The highlights of this processor are of course the 14nm manufacturing process and Kryo cores. We will progressively update the list as we get more information on the upcoming phones that will run on Snapdragon 660 Processor. Hope you liked the comparison and review of Snapdragon 660 SOC. 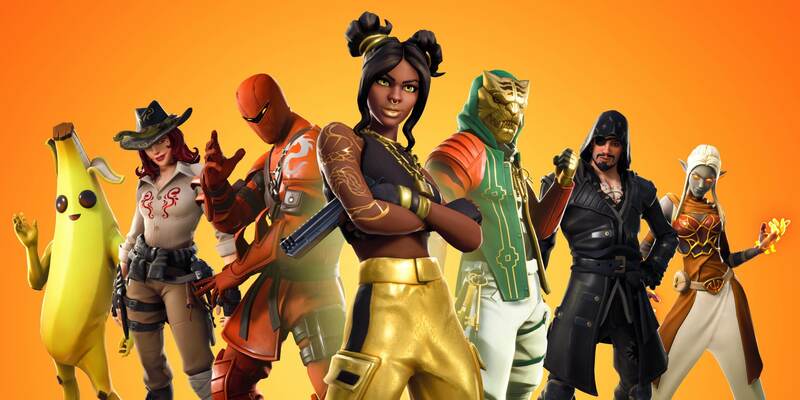 If you have any questions or suggestions, do share your opinion below and I’ll get back to you as soon as possible. With the launch of new Qualcomm Snapdragon 660 devices, I’ll review them individually. Keep following Tech Centurion for the latest news on smartphones, laptops and graphics cards. Also, subscribe us to get the latest Tech News delivered straight to your inbox. Also, check out: Snapdragon 820 vs Snapdragon 625 Comparison and also the Snapdragon 430 vs Snapdragon 625 comparison. What is the Video and Display path bit width? Amazing write-up and well explained…no other site have explained in such detail.